If it’s true that “a picture’s worth a thousand words,” then the winning photograph in Grand Valley State University’s 2016-17 Art2Park competition will have a lot to say when it appears on thousands of registered GVSU vehicles this fall. Organized by GVSU parking services, the annual competition allows students to submit potential parking permit designs which then go through two rounds of public voting. Only the ten most popular entries make it past the first round. The winning student receives a free parking permit valued at $380, as well as the pride of seeing their creation on student and faculty vehicles campus-wide. After 49 entries and nearly 1,700 votes, parking services announced freshman Valerie Wojciechowski's design as this year’s winner. Wojciechowski’s photo depicts a vivid sunset behind the Cook Carillon Tower. 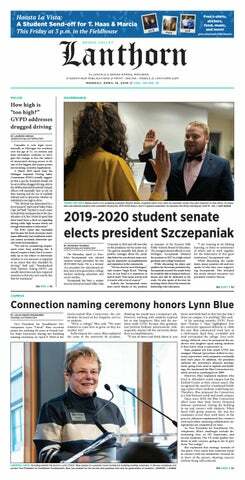 Wojciechowski, an advertising and public relations major with a photography minor, said her photo was not planned, yet it immediately generated a larger response than she could have planned for. “It was a spur of the moment thing,” she said. “I was just walking home from the library and the sun was perfect, and I happened to have my camera with me. Wojciechowski said she remembered receiving similar feedback from parking service manager Lisa Garringer, who told Wojciechowski that the photo had been Garringer’s computer desktop wallpaper since it was first reposted online by GVSU. Garringer organized the first Art2Park in 2012, after having spent her first four years at parking services designing the permits herself. Garringer said Art2Park was inspired by GVSU’s mission to shape students’ lives, professions and societies. “I was looking for an opportunity to showcase the unbelievable creativity and talent of our students,” Garringer said. “I was looking for a way for parking services to actively participate in the university mission and believed the contest provided me and the department that opportunity." Aside from exhibiting entrants’ creativity, Art2Park also offers an annual internship opportunity for one student to help run and promote the competition. This year’s intern was GVSU senior Ben Kaluski. Kaluski said he was impressed by the growth of Art2Park this year, as it experienced a 10 percent increase in total votes and 22 percent increase in total participants compared to last year. "Every year, Art2Park continues to grow and produce incredible designs," Kaluski said. "Art2Park was a huge success this year, and I'm excited to see how the permit will look after it's printed." As for next year’s Art2Park, Wojciechowski said she already looks forward to competing again. She said that while she isn’t sure yet what she plans to photograph for the competition, her success this year has inspired her to investigate other picturesque GVSU locations. Wojciechowski said her interest in photography comes from its ability to transcend geographic space.